Air Charter Advisors is your hometown source private jet rentals, jet cards, aircraft acquisitions, and private jet charter management in Miami and throughout South Florida! Choose between 3 private jet airports for your jet charter flight, including Miami International Airport (MIA), Opa Locka Executive Airport (OPF), and Miami Executive Airport (TMB). Private jet flights may also be arranged to airports in Fort Lauderdale, Palm Beach, Naples, the Florida Keys, and other areas of Southern Florida. Enjoy instant access to a variety of planes, including island-hopping turbo-props for flights to the Caribbean; rent a private jet to Miami in a comfortable, sleek mid-size jet including the Cessna Citation XLS / XLS+ or Hawker 800XP; hire a long range jet for international flights and cruise along the gulfstream inside an actual Gulfstream, whether you prefer a GIV, GV or GVI. We also have access to corporate, regional, and VIP airliners for executive offices, professional & college sports teams, and group charter flights to weddings, bachelor/bachelorette parties, and special events around the world. Air Charter Advisors is your complete source for private jet charter, aircraft sales & acquisitions, and private jet management in Miami, FL. Call us at 1-888-987-5387 (JETS) for hourly rates, pricing and aircraft availability on Miami jet charter service. Our South Florida-based jet charter brokers are Wyvern-certified, applying some of the highest safety and due diligence standards in private aviation. We focus on corporate/executive jet travel, private jet travel for high net worth individuals, and flights for luxury travelers around the world. Our headquarters is based in Tamarac, just north of Dade County and within an hour’s drive of Miami’s busiest airports. Air Charter Advisors has spent years building relationships with operators in Miami and throughout the state, allowing us to locate the perfect plane at the right cost for both domestic and international routes — although we’re located in Florida, we can arrange private flights to any destination around the world! Many of the jets we use are based in Miami/Fort Lauderdale area, and transient jets are frequently available, potentially reducing the cost of your flight with an empty-leg jet. We also offer access to jet card memberships and aircraft acquisitions, and offer private jet management and charter marketing services. Join the hundreds of executives, elected officials, VIPs/celebrities, personal assistants, and affluent travelers who have worked with Air Charter Advisors, and rent a private jet to Miami with the peace of mind you gain working with a local air charter broker you can trust. Miami and the surrounding areas of South Florida are some of the country’s busiest regions in general and private aviation, and there are several airports available for air charter flights. All of the airports listed below are located in Dade County – for more information on Broward/Palm Beach County airports, check out our related destinations section. When you fly private with Air Charter Advisors, you enjoy instant access to a global fleet of private jets, turboprops, and airliners. Not limited by any fleet or beholden to aircraft owners/operators, we’re able to locate the best plane at the right cost for every flight, including empty leg jets. Our Wyvern certified brokers review third-party audits to ensure every plane and pilot we arrange meet our industry-leading standards, and we never cut costs by sacrificing aircraft quality, working with questionable operators, or utilizing pilots with limited experience. Clients contact us when they want the best private jet charter experience possible, and our team delivers. After providing us with your trip details, we’ll present a variety of aircraft options to suit your budget, from cost-effective charter options, to the most luxurious jet on the market. Speak with your Miami jet charter broker about all of the aircraft for your flight. Miami is the international gateway to the Americas, and it’s one of the most visited destinations in the United States every year. People from around the world visit Florida’s tropical playground to enjoy it’s sunny beaches, lavish resorts and outlandish nightlife; arts, culinary and music festivals, cultural events, and a variety of conventions and shows add even more to its allure. South Florida is often referred to as the “Yachting Capital of the World”, confirmed while strolling through local yacht clubs, or relaxing along the intracoastal. It’s also a major port-of-call for cruise-lines heading to the Caribbean, with Carnival and Norwegian operating terminals out of the Port of Miami. Planning to catch a cruise, re-locating to South Florida or enjoying an extended stay? Many of our clients have vacation or seasonal homes in South FLA, and fly during various times of the year utilizing one-way routing and empty-leg flights. Our hometown has a lot to offer executive and luxury travelers, and we’ve put together a list of some of the best hotels, golf courses, yachting rentals and other events in Miami to pair with your private flight. Looking to hire a business jet to Miami for your executive team? 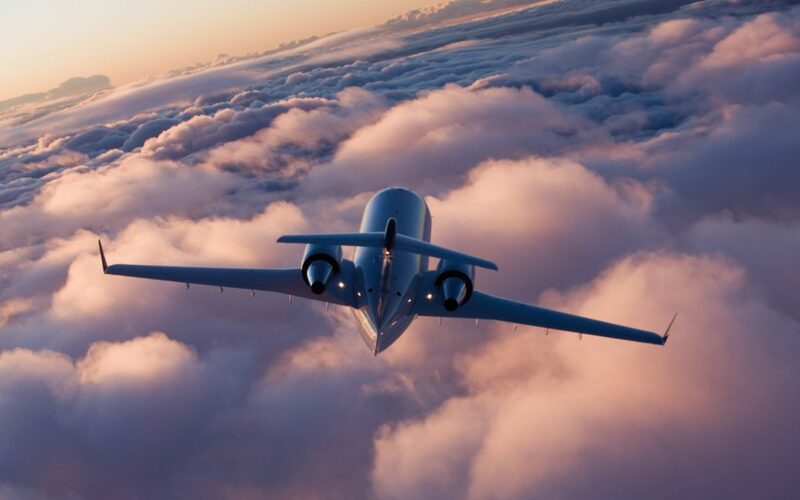 Our company offers the highest standards in executive jet charter service, providing a wide range of concierge services to complement your flight, and access to Wyvern Wingman/ARGUS Platinum business jets. Miami consistently ranks as one of the top destinations in the world for private aviation, and ACA is your hometown source for private jet charter service in South Florida. From Teterboro, White Plains and Chicago to Las Vegas, Van Nuys, and all areas of Latin America, we can arrange the perfect business jet rental to Miami, FL. The city hosts a variety of festivals and conventions year-round, some drawing visitors from across the country and around the globe. Events such as Art Basel, the Miami International Boat and Auto Shows, Ultra/WMC and other cultural, culinary, and corporate events cause a spike in private aviation throughout the calendar. No matter what business ventures bring you to South Beach, our friendly aviation team is available to you 24/7 to arrange your executive flight to Miami. Private flights can be arranged to the following airports located throughout South Florida. Speak to your broker about all of the airport and aircraft options available for your flight. Request a Quote or give us a call at 1-888-987-5387 to speak with one of our brokers to arrange your private jet charter for luxury vacations, business trips, special events, and more in Miami, FL. We’re available 24/7 to assist in all aspects of private aviation, and we offer free, non-committal quotes for all of your upcoming trips.